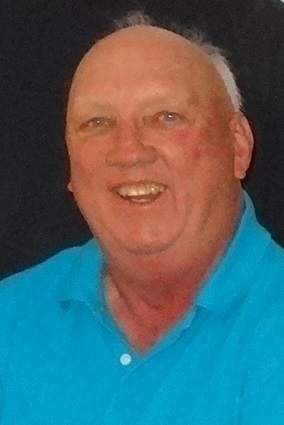 While continuing to live life to the fullest, Danny Ray Overby, age 65, of Keysville, Virginia died unexpectedly on September 8, 2018. Danny was born in Clover, Virginia on December 7, 1952. He was preceded in death by his beloved “Momma”, Aro Rickmond Overby and father, Frank Powell Overby. Danny is survived by his loving wife, Julie Duffey Overby; brother Dennis Overby (Rita); sister Sandy Flynn (Danny), nephews, Chase Flynn, Dustin Flynn (Kathryn W. Flynn), and niece Casey Flynn; step daughter Krystal Johns (Alan Jones), step grandchildren Allie Taylor and Max Johns, and a very special step great-granddaughter, Aniston Taylor, known as Danny’s Beetle Bug, who brought endless joy and everlasting love in their precious relationship. Danny, known as “Fuzzy” to family and friends was retired from Norfolk Southern Railway where he worked for more than 30 years. His life was also blessed with his second family of friends at Briery Country Club, where he devoted much of his time and talents to helping maintain the pool and working alongside his brother, Dennis to “fix things” in the maintenance of the golf course. Laughter always filled his conversations, and a smile on his face and a sincere hello greeted everyone he met. Fuzzy truly enjoyed every moment of life given him. A Celebration of Life will be held at Ash Camp Baptist Church on Thursday, September 13, 2018 at 2:00 P.M with family and friends fellowship to follow in the Fellowship Hall. Family and friends are invited to join in a time of sharing memories during the service of celebrating Fuzzy’s life. The family will receive friends at Briery Country Club in the Reception Hall on Wednesday, September 12, 2018, from 7:00-8:30 P.M. In lieu of flowers, please consider the Charlotte County Operation Food & Friendship Backpack Program (c/o Christy Lockridge at Central Middle School, P. O. Box 748, Charlotte Court House, VA 23923) or the Barksdale Cancer Foundation, P O Box 225, Charlotte Court House, VA 23923. The Browning-Duffer Funeral Home in Keysville, VA is serving the family. I am so sorry for your loss.. My thoughts and prayers go out to you and your family. To the Family and Friends of “Fuzzy” I am so sorry for your loss. He was a dear family friend to me and my family. He enjoyed life and always had a smile and was going to make you laugh. That was just Fuzzy – happy – go – lucky. He will be missed – ! May God wrap is loving arms around his loved one and give them comfort and peace. Prayers for Danny’s family. I am so sorry. So sorry to hear, may my prayers go out to all of the family. Prayers and sympathy to Julie, Dennis, Sandy and family. I have such great memories of my special cousin. Julie, So Sorry for your loss. I will have you and the family in my thoughts and prayers. Mike and I are so saddened to hear this news. He was such a fun person to be around. Our deepest sympathy for the family!! So very sorry for your loss. Had not seen Fuzzy much in the last few years but do remember his great smile he always had. Hugs and prayers to all of you. I’m so sorry for your families loss of Danny. May God guide you all though this time. I am so sorry about your lost, my prayers are with you and your family. If there anything I can do for you let me know. Julie, Danny and Sandy, my heart breaks for you and you family. Fuzzy was such a special guy to everyone in his life. My thoughts and prayers are with you all. Thoughts & prayers for all of the family . So sorry for your loss . Prayers sent your way. Julie our thoughts and prayers are with you today. Fuzzy was an awesome mans that will be greatly missed. Fuzzy was such a special gift to everyone! Julie, I am so sorry. I just found out tonight. Fuzzy was a great guy and will be greatly missed. I pray for comfort and peace for you and your family.